Travel north of Vancouver for about two hours along the epic Sea to Sky Highway and you’ll hit Whistler. Famous for its ski slopes that hosted the 2010 Olympics and its summer mountain biking scene, Whistler has more to offer than you could ever imagine. Forested illumination walks, fine dining, overnight hikes featuring sapphire-blue lakes and a jungle gym on the side of the mountain captivated my adventurous curiosity. I spent two nights and three days exploring what Whistler had to offer beyond the typical obligatory Cow’s ice cream pit-stop and photo-opt with the Olympic Rings. I’ll admit it—I was impressed. 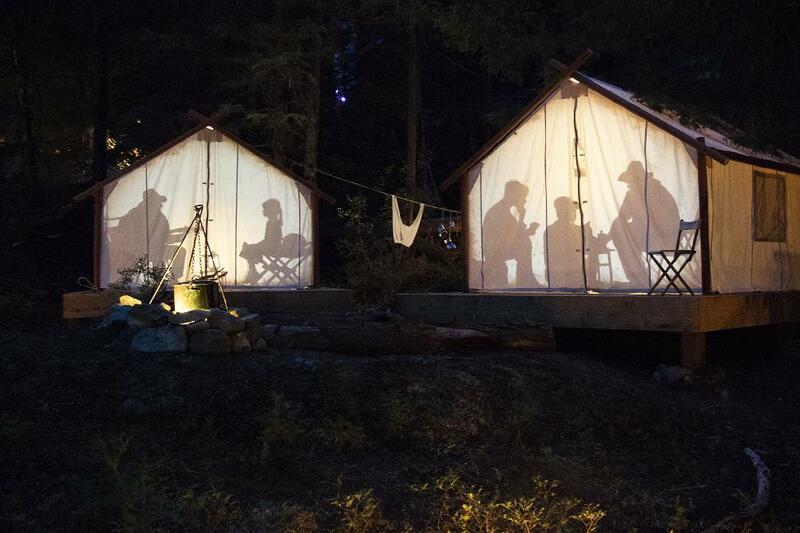 Vallea Lumina is a multimedia night walk that just launched in Whistler July 18th. The 1.5-km, hour-long trek through the forest is akin to waking in a dream. Tied together by the story of two hikers lost in the woods, this ranger-inspired night adventure encourages you to use your imagination. But if you can’t dream up a mystical land, the stunning light shows will do it for you. Holograms, glowing animals and transient music transport you to another realm, where bears appear in the sky in dazzling colour and trees come alive like a scene from Lord of the Rings. Expect to see the forest in a completely different light (pun intended).